A contemporary informational infrastructure is a system of people, processes and tools that covers the five business disciplines represented in the image below whereas each level builds on the one beneath. An increasing number of international, national and industry-specific regulatory requirements affect the foundation of an organization's informational infrastructure from level 1, most prominently, the European Union's GDPR (General Data Protection Regulation). This regulation applies to all organizations world-wide (that process personal data of EU residents) and demands application features such as encryption, privacy by design, explicit user opt-in, the right "to be forgotten", mappings of data flow etc.. 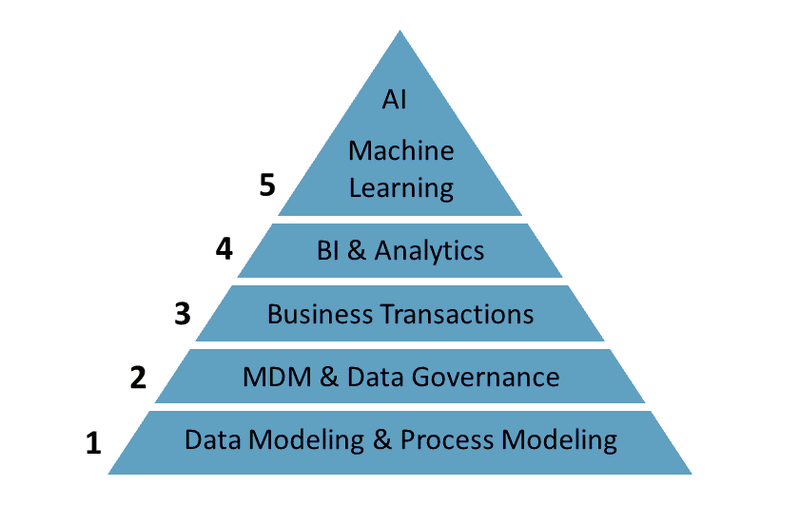 These requirements do not only influence how business applications are used, but have a direct impact on the conception of applications and database structures and therefore already need to be considered on the level of data and process modeling. To facilitate the integration of business modeling and measures for compliance, Grandite created SILVERRUN DGX Data Governance eXpert - a synergistic bundle of SILVERRUN RDM Relational Data Modeler and SILVERRUN BPM Business Process Modeler sharing the models of processes, data flows and data through a common repository. SILVERRUN DGX Data Governance eXpert can be flexibly customized to respond to existing and future regulatory requirements as well as to necessities of Data Governance in general. Supports conceptual, logical and physical data modeling on the enterprise, department, application and/or database level. Features various notations and methodologies (e.g. Information Engineering, Datarun). Offers customizable links between model levels to facilitate the propagation of modifications throughout related schemas. Helps to document and reconstruct existing systems. Offers full control of integrating models derived from multiple sources. Features the creation of a business data dictionary / glossary of semantic data items that can be linked to synonym data elements / columns. Allows to track semantic data items (and their synonyms) throughout the organization from columns in conceptual and logical schemas to their physical occurrences in databases ("structural semantic Data Lineage"). Supports design, generation and reverse engineering of all major DBMSs. Manages multiple physical databases in the same model. Inputs and manages physical storage parameters for many DBMSs. Verifies the integrity of models. Supports modeling processes and information flows from an organizational, business and/or technical perspective. Features various notations and methodologies (e.g. Gane-Sarson, Yourdon, Ward-Mellor, Merise). Offers to document quantitative factors such as process cost, resource allocation, duration and frequency. Supports multi-level modeling (i.e. explosion of processes). Provides comprehensive business process analysis, e.g. resource usage, cost/time. Allows to track the mapped flow of semantic data items (and their synonyms) from their sources, through the processes and data stores of the organization to downstream consumers ("dynamic semantic Data Lineage"). 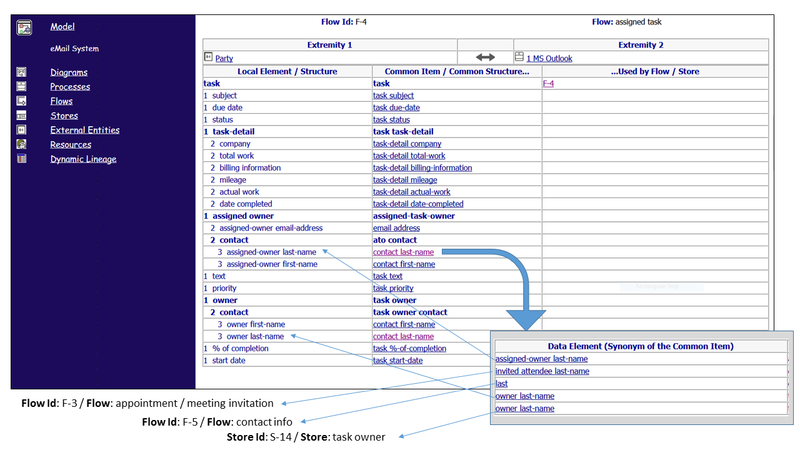 Integrates SILVERRUN data models and SILVERRUN process models on different stages of detail (e.g. data structures can be attached to information flows so that underlying data is captured with process information and carried through to a data model). Supports the complete development life cycle. Permits unlimited number of model objects and diagram levels. Helps to reduce application silos and create the solid foundation for an integrated informational infrastructure managing Master Data as its centerpiece. Supports teamwork through model split & merge. Allows extension of the model repository with user-defined objects and descriptors. Can be customized to respond to various requirements of Data Governance, e.g. risk classification of data, jurisdiction / location of processing. Generates customizable HTML reports / Web access for an extended audience. Offers relational support for queries and report generation on a variety of RDBMSs. Adapts to the needs and size of any organization - with local installations or floating network licenses using local or team repositories.